List of Engineering Colleges In Meerut UP: Here is the list of Engineering, MBA, MCA, and B.Pharm Colleges Meerut City. Meerut is a city in the India state of Uttar Pradesh. Meerut was registered as the second largest city in the National Capital Region, and as of 2011 the 33rd most populous urban agglomeration and the 26th most populous city in India. This city is popular for its industrial area. Some multinational companies are having their head offices here. Within few years, Meerut city is listed as the most developing city in the country. There are so many engineering, MBA, MCA, and B.Pharm colleges providing quality education in various fields. 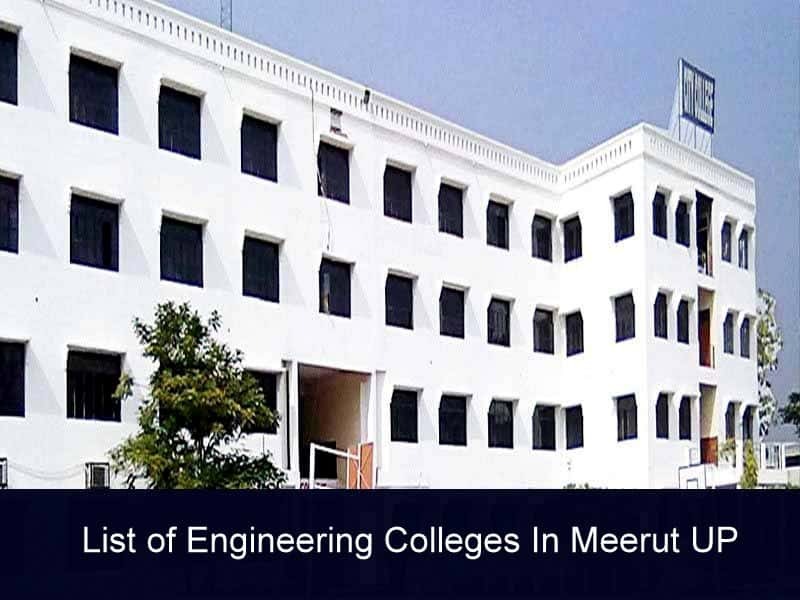 In this article, we are providing a list of Engineering Colleges In Meerut City. All candidates who have appeared in UPTU/AKTU Entrance Exam for B.Tech, MBA, MCA, B.Arch, and B.Pharm courses will be able to take admission in these colleges through online counselling.